Nolasco might be the next guy to be traded for more prospects. As I stated above, one of these just isn’t like the others. Ricky Nolasco is the last remaining large money contract after this winter’s gutting of the team. I have discussed Nolasco at length in past pieces, but I will do a brief review of what I see from Nolasco and why I wouldn’t be interested in having him as my most expensive piece. As I wrote a couple of months ago, Nolasco has regressed from a serviceable second or third starter in 2008 and 2009 to at best a middle of the pack option who survives on keeping the ball inside the ballpark. In that piece, we discussed how Nolasco’s K/9 has decreased dramatically and that his strikeout could not be counted on as a consistent weapon against Major League hitters. In the current market, a pitcher with Nolasco’s experience probably has a market value of somewhere between 9-10 million so he is probably only slightly overpaid based on the market. For the Marlins, in their current state though, he is wildly overpaid and the Marlins should probably consider moving him if they can find a buyer at the trade deadline. 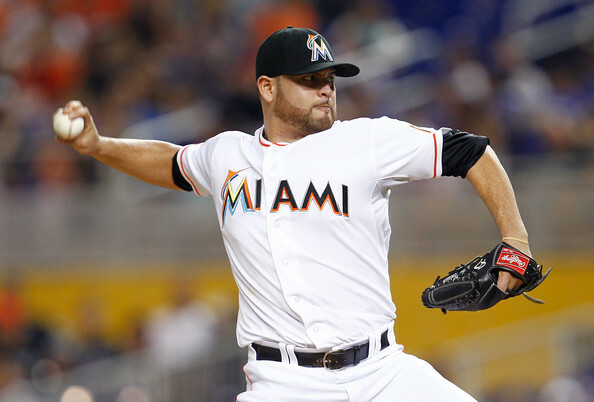 Besides Nolasco, the Marlins second highest pay roll expense will be to pay Heath Bell to not player for their team. Considering Bell’s 2012 season, this is probably money well spent to discard a long-term obligation to him. Small market and cost conscious teams should always avoid paying big money or giving long deals to relievers. Unless the player is Mariano Rivera or Trevor Hoffman, the large variance in reliever’s performance, the shortened shelf life due to injury and the overall value of paying for a very limited number of innings causes such a transaction to almost always favor the player. Outside of Nolasco and Bell, the list is mostly journeymen on the last leg of their careers looking for another summer in the sun. Juan Pierre and Placido Polanco were both part of an underachieving Phillies team last year, and both has seen his prime come and go. The Marlins will plug both in for name value and to add recognizable athletes to a team that many fans will not recognize or identify with. Pierre is a serviceable outfielder who will add a win or two above replacement with his speed and will provide a familiar face and a reminder of former championship glory. Polanco is a replacement level asset as he enters his age 37 season. There is little cause to believe he will regain even his 2.9 Wins Above Replacement level value from the 2011 season, but obviously if he did, the Marlins would be ecstatic at the return on investment for the money spent. Dobbs, Mathis and Rauch are all veteran bit pieces in a larger picture. Their salaries are more commiserate with service time than actually impact on the team’s ability to compete. Each is slightly above or below replacement value, and none of them are pieces that should be counted on to do more than fill out the roster. The two players who are on the above list that may end up effecting the Marlins future are Adeiny Hechavarria and Jacob Turner. Hechavarria, who will turn 24 two weeks into the season, will have a show case this year to prove he is the Marlins shortstop moving forward. He was acquired as a piece in the Jose Reyes/Mark Buehrle/Josh Johnson trade with the Blue Jays, and he will be the first of those pieces that Marlins’ fans will get to see. His minor league numbers paint the picture of a free-swinging offensive player whose success in the minor leagues seems to stem from league average walk rates and an above average BABIP. There are a varying number of possible outcomes with Hechavarria, and part of the excitement for this upcoming season with the Marlins will be determining where he falls and what type of shortstop he will be. Turner has been discussed at length in my preview piece as an important piece for the Marlins future. To sum up that longer discussion, we need to see an increase in Strike-out Rate from Turner and a decrease in his Home Run Rates. If he can show us that sort of improvement, he will justify a permanent place in the Marlins rotation. 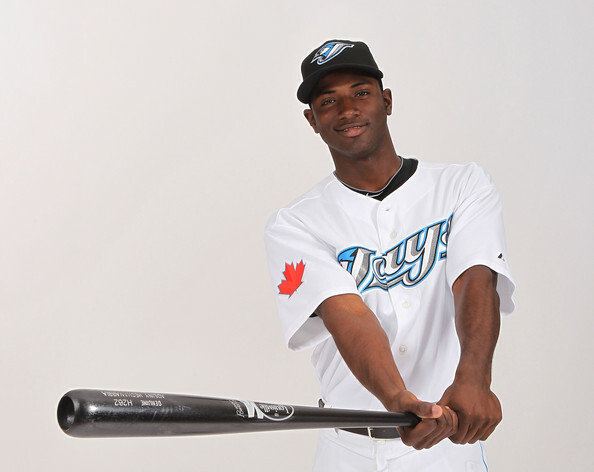 Hechavarria will be the first of the players acquired by the Marlins in their off-season blockbuster with the Blue Jays to make his debut. Miami is hopeful that he will become their shortstop of the future. The second tier of the Marlins payroll is really the only other tier, which again speaks to the state of the team and the lack of trust felt by the fan base. From the promise of a real Major League payroll to the return to parsimony in about twelve (12) months. The pattern is all to familiar to the residents of South Florida. This list is without Kotchman’s salary as we are not sure if he will make the opening day roster. Clearly the meat of the Miami roster is in the league minimum salary range. The biggest name that jumps out is obviously Giancarlo Stanton. Miami’s young Right Fielder is among the premier power hitters in the game. Going into his age 23 season, Stanton already has 93 professional home runs and has been worth 4.5 and 5.8 Wins Above Replacement in his first two full seasons. 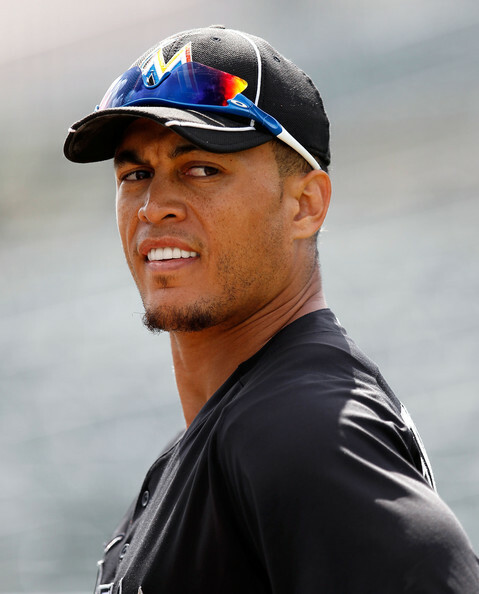 If there is a building block on this team, it is Stanton. The rest of the league minimum guys are potential building blocks or just cheap labor to get the Marlins through what will almost assuredly be a last place finish in the NL East. We have looked at Logan Morrison in the past, and I think we can leave the Morrison talk with a simple statement: We need to see LoMo hit consistently at the Major League level. Rob Brantly is another interesting piece. He is the catcher who came over in last season’s Omar Infante/Anibal Sanchez trade with the Detroit Tigers. Brantly impressed with his walk rate last season and his ISO. He ended up with an OPS of .832. If this production can be consistently maintained at that level or near that level, the Marlins would have a cheap elite offensive catcher to pair with Stanton. This would be a huge win for the Marlins. The Marlins have done well to build depth in the bullpen and rotation on cheap labor. None of these players is wildly above average, but they will get plenty of cheap innings while they wait for higher ceiling prospects to develop. Overall, 2013 will be a frustrating and disappointing season for Miami fans. Once again, we must ask Marlins fans not to look to the coming season, but to look towards the future of the franchise. Few things are more difficult as a fan than to be told that the spring does not offer hope of contending for your club. Sadly, I believe this is the case for Fish fans. They have to look towards the development of Stanton, Brantly, Turner, Morrison and other young pieces and hope that the team will find a solid foundation upon which they can construct a team similar to the 2003 version of the Marlins. Giancarlo Stanton led the National League in Slugging Percentage – with a .608 clip in 2012, amidst 37 HRs and 86 RBI in just 449 AB. Stanton is an elite power hitter collecting 93 Home Runs during his short career. The Marlins superstar is a bargain at league minimum. 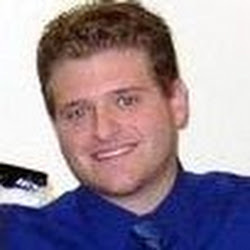 Posted on February 18, 2013, in MLB Payroll and Contracts, The Rest: Everything Baseball and tagged @Nross56 on twitter, a.j. ramos, adeiny hechavarria, alex sanabia, anibal sanchez, blue jays, brad hand, casey kotchman, chris coghlan, chris hatcher, dan jennings, donovan solano, evan reed, florida marlins, giancarlo stanton, gorkys hernandez, greg dobbs, heath bell, henderson alvarez, jacob turner, jeff mathis, jon rauch, jose ceda, jose reyes, josh johnson, juan pierre, justin ruggiano, logan morrison, mariano rivera, mark buehrle, miami marlins, mike dunn, nathan eovaldi, nicholas rossoletti, NL east, omar infante, phillies, placido polanco, ricky nolasco, rob brantly, ryan webb, steve cishek, tom koehler, trevor hoffman, wade leblanc, zack cox. Bookmark the permalink. Leave a comment.